This magisterial commentary utilizes an unparalleled range of ancient sources and offers a wealth of fresh insights. All together, Keener cites more than 45,000 extrabiblical ancient references. 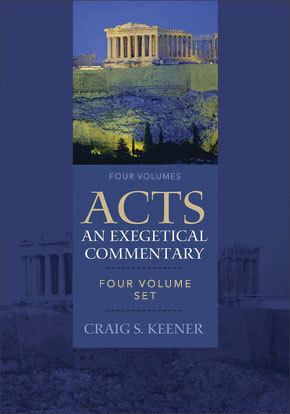 The four-volume set, which is available at a special bundled price, is an invaluable resource for New Testament professors and students, pastors, Acts scholars, and libraries.